There has been a lot of grunt work going on in the install. I’ve spent a lot of time on my back, up underneath my panel. Here’s what I have to show for it today though! The CGR-30P display is mounted in the panel. In a reversal, we did decide to relocate the ADF indicator since it had a longer harness. I believe that this is still within 8” of my visual center; however, I’m still going to try and mount the red & yellow annunciators that came with it. Space just seems to be at a little bit of a premium in the panel. 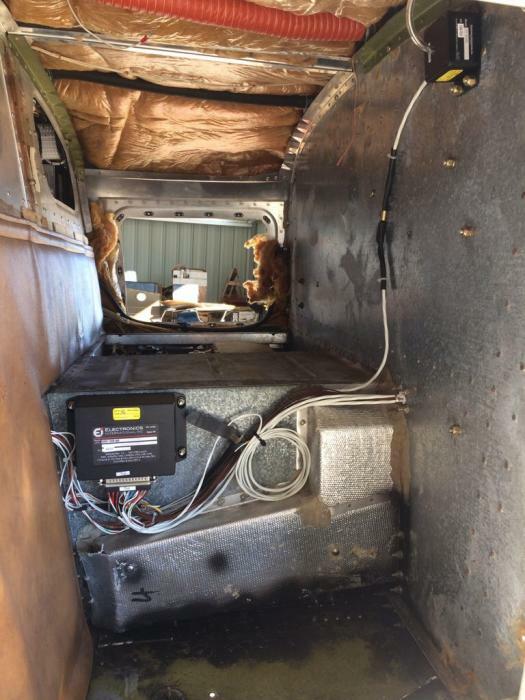 Additionally, wiring has been run from the panel to the EDC, and from the EDC, through the firewall, into the engine compartment to connect with the various probes & sensors. I purchased a ½” firewall penetration kit from Aircraft Spruce & Specialty Company to complete this last task. The fit was a little tight, but everything went through. We began the installation of the various pressure & flow sensors. Before beginning though, we put a list together of various parts we would need to complete this portion of the install. Every aircraft will be different, but we needed an assortment of AN fittings, hose, fire sleeve, and nuts & bolts. I also highly recommend having a lot of various sizes and selections of zip ties and adel clamps (as you will see throughout the rest of this install). Just about all materials were ordered from Aircraft Spruce & Specialty Company. The first sensor we mounted was the fuel pressure transducer. 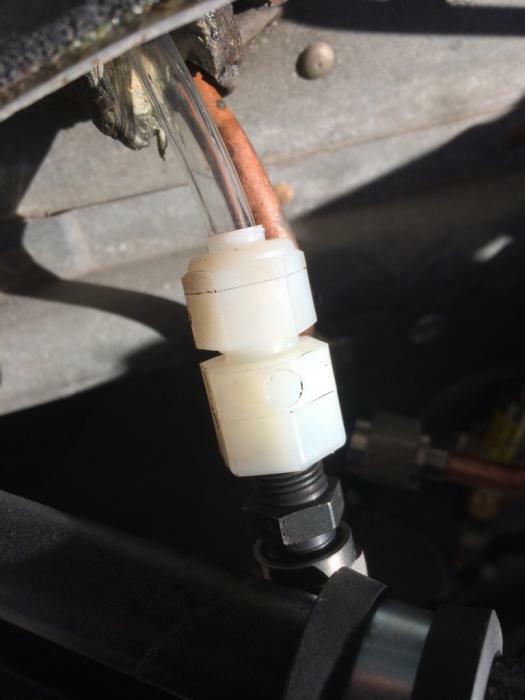 You can see in this close-up the many fittings needed to connect this. 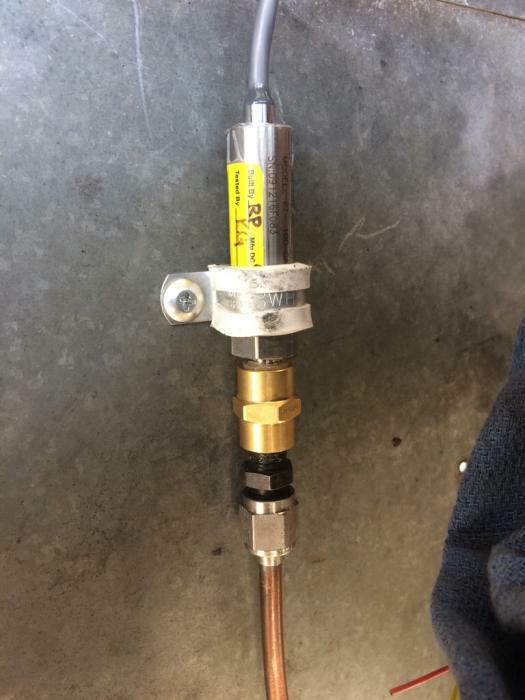 Fortunately, because this gauge replaces many others, we removed enough tubing that we could recycle it for other applications in making these connections. I will take a picture at the very end of the big box of stuff removed from the aircraft during this install. After completing the fuel pressure transducer install, we moved right on to the oil pressure transducer. 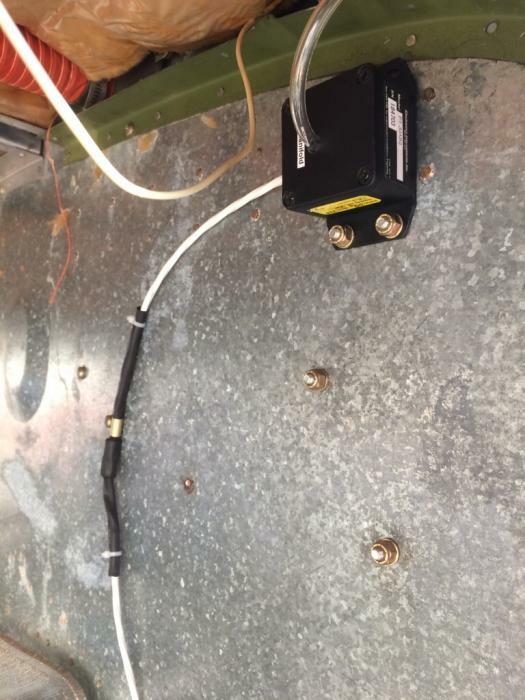 In my aircraft, these are the same sensors. Based on your aircraft, you may have two different transducers. We mounted both of these side by side as it was the most convenient location. Wiring was very easy as well since they were mounted close to where we brought the wiring bundle through the firewall (previously discussed). 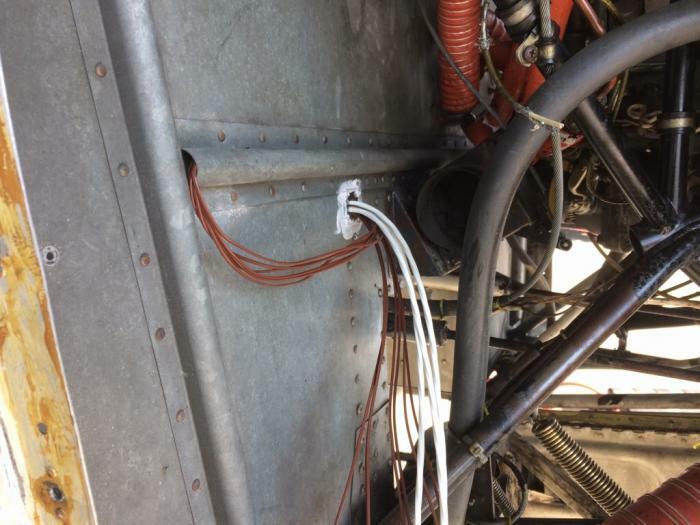 Moving back inside the forward baggage compartment, we mounted the manifold pressure sensor. This basically consists of a small black box with a wire bundle and rubber tubing coming out of it. This is one of the few sensors that is not mounted in the engine compartment, as per the installation manual. We physically mounted it to the reverse side of the firewall and routed the rubber tubing through to make the connection. Again, we recycled some surplus tubing to make this connection. This did require a compression fitting to make the final hookup. We did also mount the fuel flow transducer inside the engine compartment, but I want to ground run the aircraft first to ensure our installation was proper before posting those pictures. Next, I went back to the temperature probes that we installed last week, routed the wiring to them, and made the connections there as well. Electronics International sends several "overlap connectors" that you utilize in making these connections. I will admit this is probably my first criticism so far. On the one hand, they are easy to work with & can be disconnected utilizing a hex key later on if you have to remove the probes, but on the other hand, they seem very light-duty. I could be wrong, but we’ll have to see after they are subjected to heat and vibration. Additionally though, several of the connectors that I received were unusable due to the fact that the ends were clogged up with plastic that was probably part of the molding process. Regardless, we were able to salvage enough of them to complete the hook-ups we needed. Once the connections to these temperature probes were complete, I set about cleaning the wiring bundles up, securing them, and rolling them up in a heat resistant wrap. I’m far from a perfectionist, but I do so like it when things look clean after an install. Although not previously noted, the biggest issue we had was the hoses we made to connect the Fuel Flow Transducer. First we found that the engine was not getting enough fuel flow. We found that the two hoses had blockages of small pieces of rubber from where we cut them. 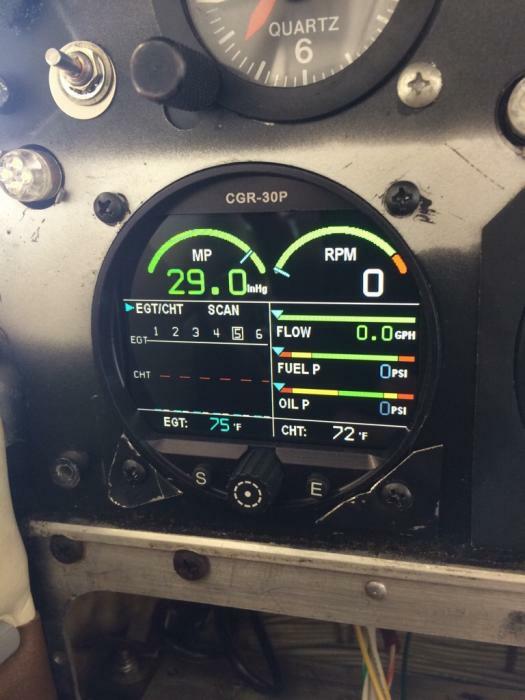 After clearing the blockages, we reattached them and saw proper fuel flow readings on the CGR display. However, we later determined that very small pieces had made their way to the fuel injector nozzles. Once cleaned out, the engine ran perfectly afterward. After addressing the issues that we'd found, we started the process of buttoning everything back up. 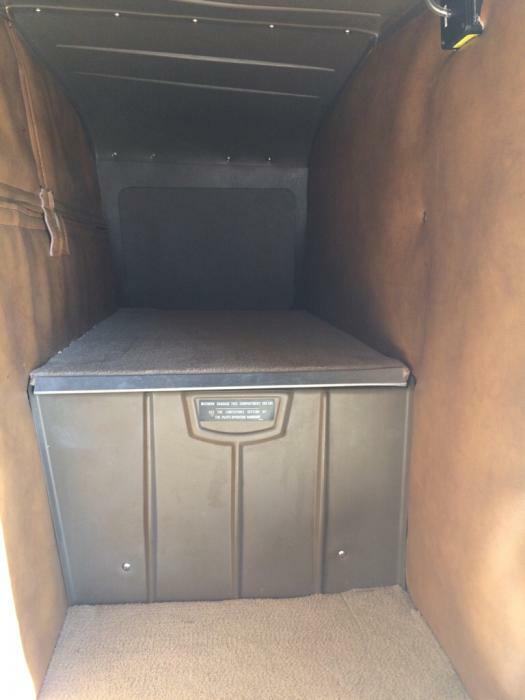 Here's a before and after shot of the baggage compartment where we decided to mount the Engine Data Converter. Cleaned up pretty good I thought! It's been a long day of installation and testing. Stay tuned for our finale where we finally get to test the CGR-30P in flight and run it through its paces!